Roof algae is much more disturbing than the aesthetic concern – Having algae on the roof can be visually really unappealing but the real problem is not that. If you know roof algae is a living thing and it is feeding of the limestone filler of the shingles. Hence, it is important that you remove them as fast as possible in order to avoid any kind of impending damage that can take a long time to repair. Roof cleaning is not an overpriced service – There is a general notion associated with roof cleaning; the service cost is expensive. Hence, a lot of people think about purchasing the instruments and doing the cleaning themselves. But this can further damage the concerned areas. Hence, you should always opt for the professional pressure cleaning Adelaide services to get good results in reasonable prices. 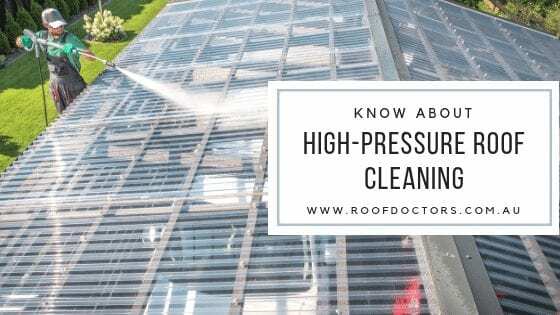 There are two ways to clean roofs: Roof cleaning, especially the effective ones are available in two methods, chemical cleaning and pressure washing. In chemical cleaning as the name suggests, specialized chemicals are used for cleaning the required areas. Compared to this the safer and inexpensive method is the pressure washing, wherein water force is used to clean the dirty surface. You can do the cleaning yourself, but expert help is still needed – Ideally you should opt for pressure washing on surfaces like roofs or driveway for two times a year. There are many pressure washing equipment’s available in the market that you can use to clean yourself. Yet, nothing can meet the effectivities of professional service. Thus, now that you know that the best of the pressure cleaning experts is available in Adelaide, get in touch with them immediately. The service is not only reasonable, but you’ll also get remarkable results owing to the specialized methods used and appropriate cleaning experience.